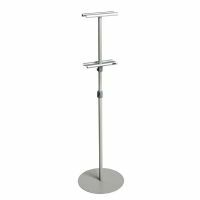 Quartet Adjustable sign stand is a lightweight freestanding pedestal sign holder with adjustable height to provide maximum visibility. � Modern sleek design takes up little floor space. � Tube height adjusts from 1118 -1854mm. � Holds 279mm to 1016mm signs - black frame not included. 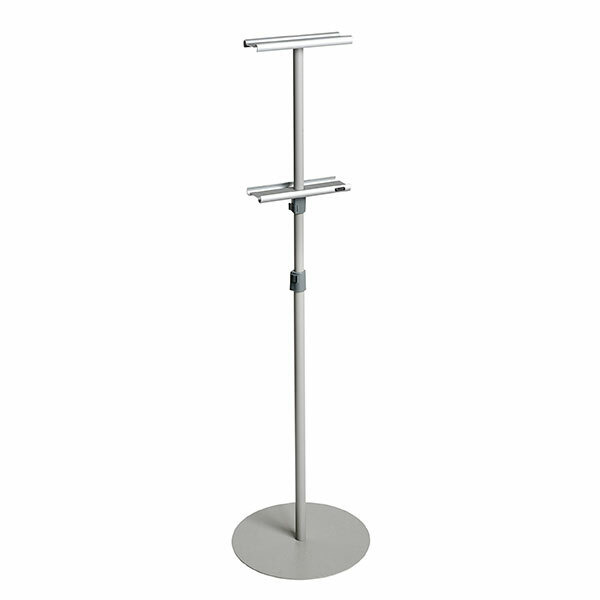 � Telescoping silver metal pole adjusts in height from 112cm to 185cm. � Signs are secured from both the top and bottom.